Happy Father's Day, Everyone! The season when you express your love and gratitude to your dad is here! Why don't you prepare a small but thoughtful gift for your dad on this Father's Day? 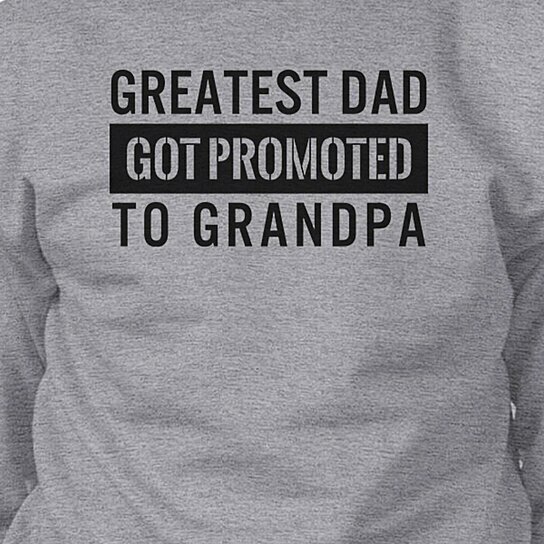 Our cute sweatshirts are prefect gifts that will make your dad feel special and make this Father's Day unforgettable for your dads! Our sweatshirts have hundreds of unique designs individually created and printed in California, USA, and they give you a wide range of gift selections not only for Father's Day but also all other special occasions such as dad's birthday, grandfather's birthday, and Christmas. Plus, these guarantee the comfort when wearing. Show your appreciation to your loving devoted dad with our cute gifts and put a smile on her faceStart Shopping Now!